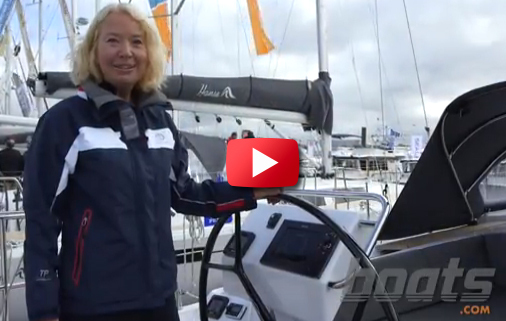 We found the new 2015 Hanse 455 sailboat at the London Boat Show. 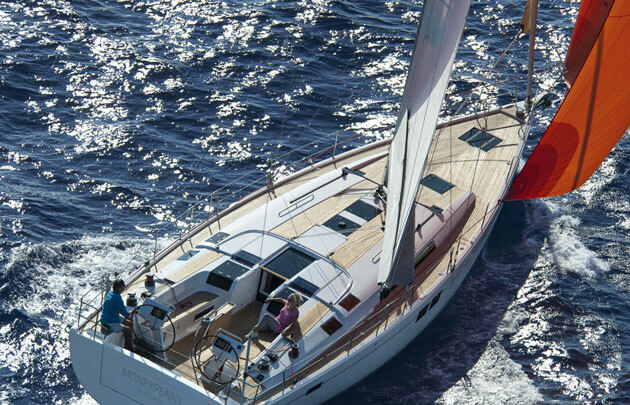 Hanse is a prolific builder of sailboats; they constantly come out with new models, and in the past two years alone have rolled out the Hanse 575, the Hanse 505, the Hanse 445, and the diminutive Hanse 18 Varianta. Now, for 2015, we can add the Hanse 455 to this list. 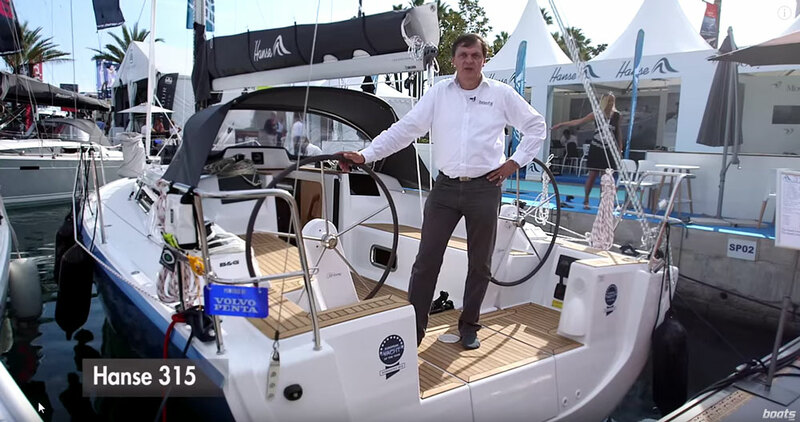 Our UK reporter Rupert Holmes found one at the London boat show, and took the time to film this brief First Look Video. 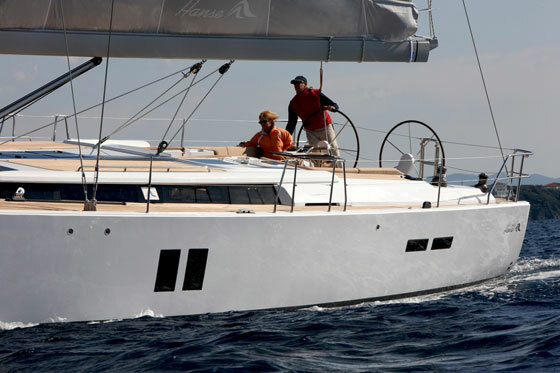 Your eyes did not deceive you—Hanse has paid a huge amount of attention to the exterior of the 455, with the vastly expanded cockpit and the inclusion of the foredeck sunpad. In essence, they've capitalized on every inch of topsides to make as much usable room as possible. 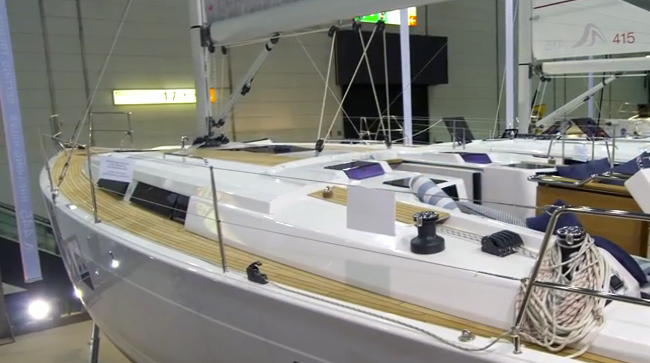 While most builders strive to avoid wasting any space, Hanse has clearly taken the concept to the next level. Of course, the same is true belowdecks. But they've also worked to maintain the open, airy feeling of the outdoors. Note just how much headroom Rupert has over him, at 0:50 in the video. And in the following shot, how wide-open the saloon seems. 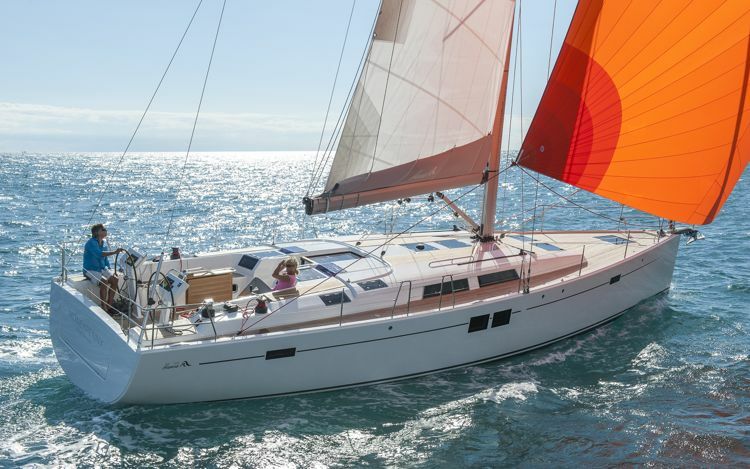 Plus, this boat has one final surprise in store: check out these Hanse 455 listings, and you may be more than a little bit startled when you how reasonably priced this sailboat is. 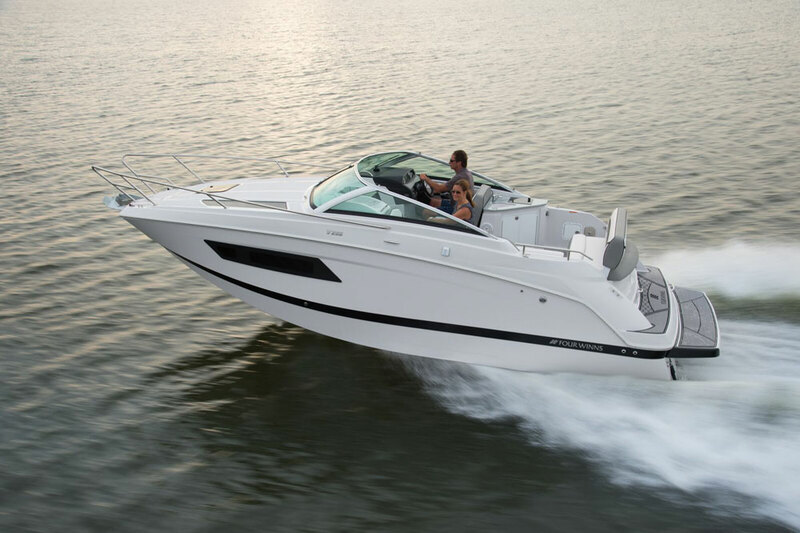 To get more details on the 455, visit Hanse.